© 2010 Gaël Elégoët. All rights reserved. 17 juin ’10 Filed under iPad. Tagged 2D, Cartoon, conceptart, iPad, MiG, SketchBook. Bookmark the permalink. A friend recommended me to get « G-Suit », a book about mid-east air combats. 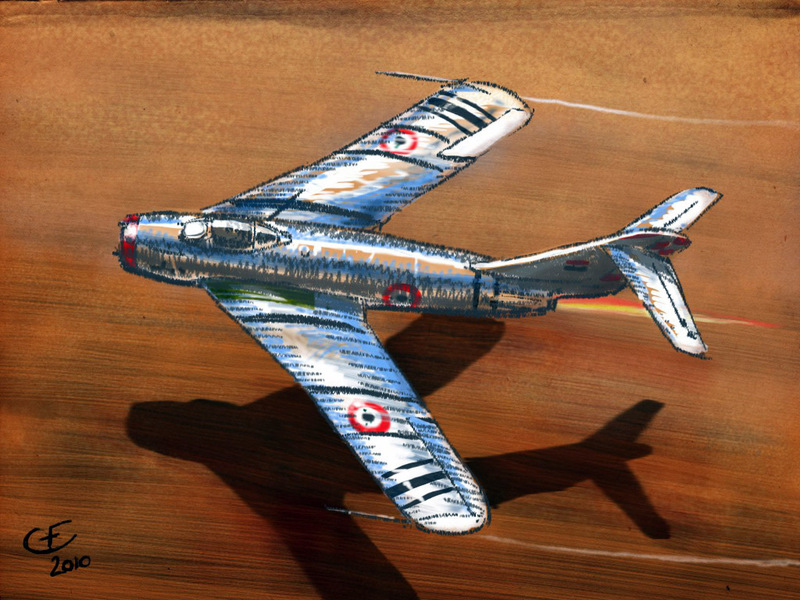 The first combat story is with a very low flying MiG-17… Good book.